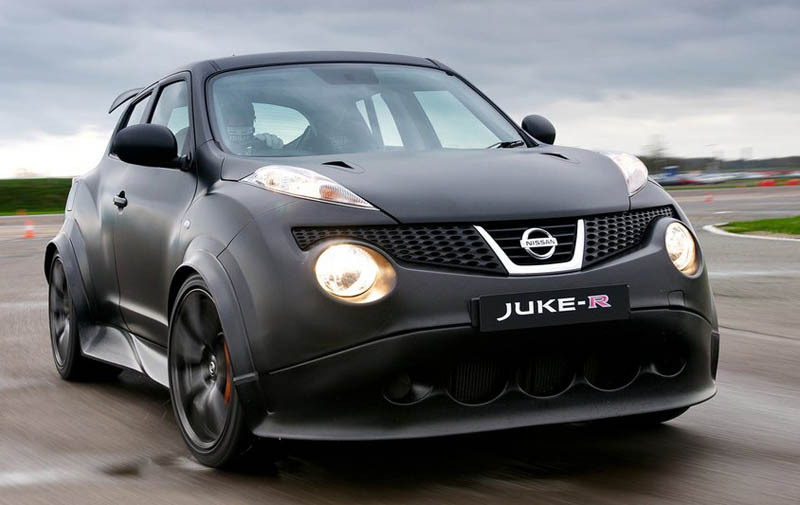 Nissan, the car maker from Japan, has provided confirmation of performance statistics for the Juke-R, the crossover concept supercar. Nissan has said that the car has been provided with handling and riding characteristics similar to the GT-R. Nissan has developed the Juke-R in the United Kingdom and the car has been built by RML, the motorsports outfit under the guidance of the NTC-E (Nissan Technical Center in Europe). Two models of this car have been created over a period of 22 weeks, one being a right hand drive whereas the other is a left hand drive. Both the models have been made subject to extensive tests to check on their performance levels and the car maker has now reached the last stage of completing this development project. The V6 3.8L twin-turbo engine of the Juke-R has the capacity of generating a maximum power of 485Bhp. This enables the car to cruise to a speed of 100kmph from a stationary position within 3.7 seconds. The peak speed that this supercar achieves is 257kmph. During this project that lasted 22 weeks, Nissan opened its doors documenting all the steps that went into the creation of the Juke-R, right from the start of the developmental story on the first day. It has released a video series amounting to 10 in number on the YouTube and also through the Facebook page that has been created for the Juke. This video series has been able to register a viewership of 2.2 million within 10 weeks. The last chapter of this video was released yesterday and it brought to an end the complete story of development of this car, with the exhibition of the completed car standing in complete glory. The next series of videos for this car is expected this month itself and is going to focus on the performance of the Nissan Juke-R on the roads.